There is still time to get a Beaux Arbres Gift Certificate for the native plant gardeners on your lists (and all those keen gardeners you know whom you would like to nudge toward native plant gardening). 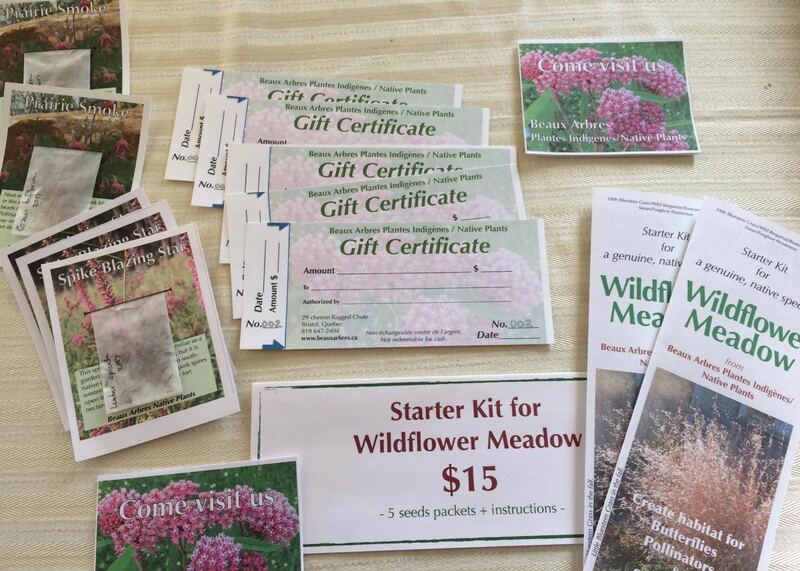 The Gift Certificates can be redeemed for plants, seeds, miscellaneous thingies, and garden consultation services. You can use them at the farm, at the Ottawa sales, and at Seedy Saturdays. We send the certificates out by snail mail, so don’t wait too long. You can send a cheque to our WINTER address (below) or, faster, send an e-transfer to the Beaux Arbres email address: naturalgarden@bell.net. Any denomination – you set the amount (in whole dollars). Remember to send us your postal address and the recipient’s name.